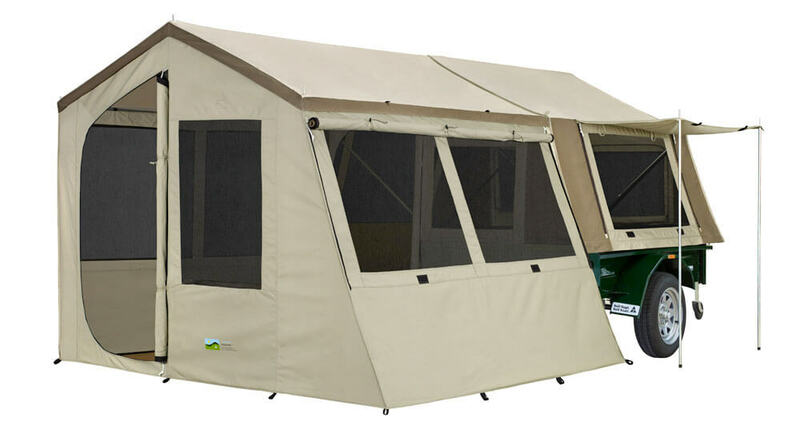 Unique in Australia, the Kodiak Camper features the same Kodiak Canvas 100% Army Duck Double Fill Cotton Canvas, with Hydra-Shield Technology, as used in the Kodiak Canvas Flex-Bow tents. Completely breathable, yet fully waterproof/rainproof. Designed for easy set-up, low height and maximum storage in the trailer. 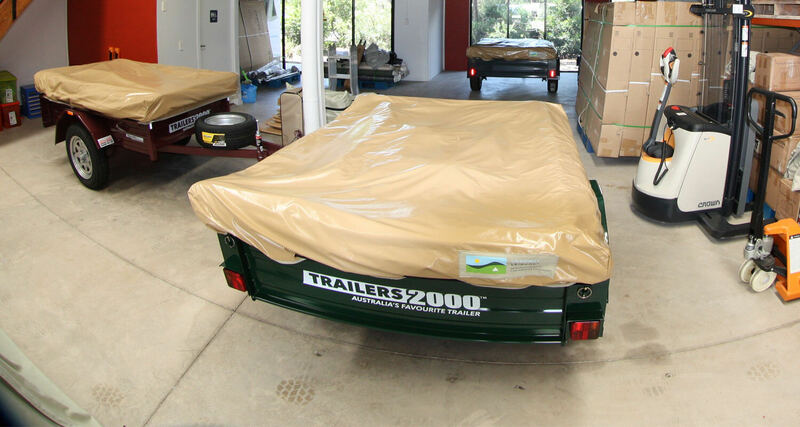 The Kodiak Camper Model is also a breeze to erect and pack down in no time at all. 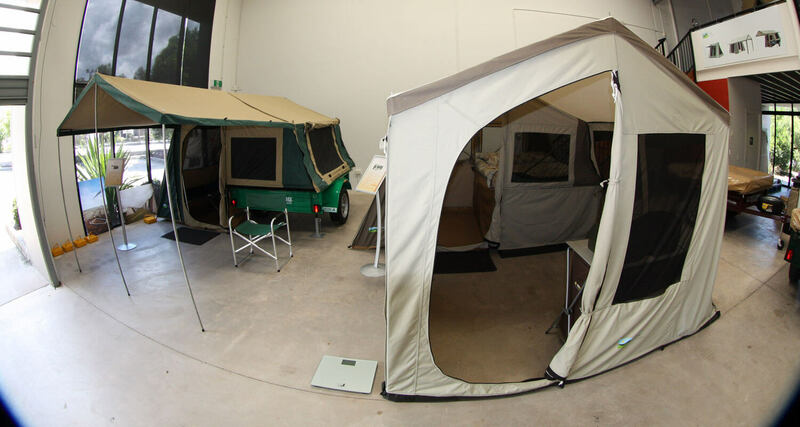 The Kodiak Camper comes standard with a canvas sunroom (as either a living area or extra sleeping quarters) and a removable PVC floor. Hydra-Shield, 100% Army Cotton Duck Canvas. Durable, watertight and breathable. Sturdy frame with reinforced welded corner braces. Spacious 220cm peak ceiling height and steep walls. Standup, walk-around comfort. 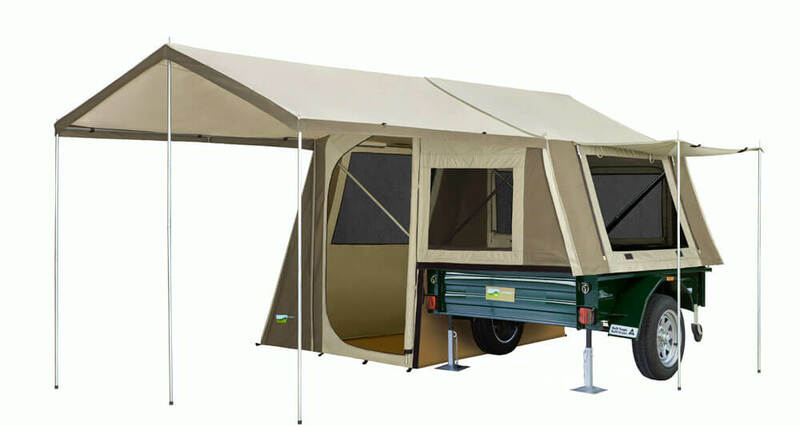 Deluxe Awning 240cm x 240cm with steel frame (option to set up with or without awning). Floor Material: 460gsm vinyl. Polyester reinforced.